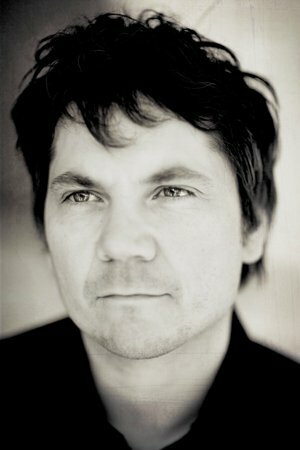 Jeff Tweedy will be at Music Box Theater to celebrate his new book Let's Go (So We Can Get Back): A Memoir of Recording and Recording with Wilco, Etc..
Jeffrey Scot Tweedy is an American songwriter, musician, and record producer best known as the singer and guitarist of the band Wilco. Tweedy, originally from Belleville, Illinois, started his music career in high school in his band The Plebes with Jay Farrar, which subsequently after several years formed into the alternative country band Uncle Tupelo. After Uncle Tupelo's fourth studio album, the band broke up in 1994, prompting Tweedy to form Wilco, with Farrar forming the band Son Volt. Wilco's first album A.M., released in 1995, received mixed reviews from critics, though Wilco later found critical and commercial success on their later albums, most notably with Yankee Hotel Foxtrot and A Ghost Is Born, the latter of which received a Grammy for Best Alternative Album in 2005. Across Tweedy's career he has released sixteen studio albums, including four with Uncle Tupelo, ten with Wilco, one with his son Spencer, and a solo acoustic album, along with numerous collaborations with other musicians, most notably Mermaid Avenue with Billy Bragg. Few bands have inspired as much devotion as the Chicago rock band Wilco, and it's thanks, in large part, to the band's singer, songwriter, and guiding light: Jeff Tweedy. But while his songs and music have been endlessly discussed and analyzed, Jeff has rarely talked so directly about himself, his life, and his artistic process. Until now. In his long-awaited memoir, Jeff will tell stories about his childhood in Belleville, Illinois; the St. Louis record store, rock clubs, and live-music circuit that sparked his songwriting and performing career; and the Chicago scene that brought it all together. He'll also talk in-depth about his collaborators in Uncle Tupelo, Wilco, and more; and write lovingly about his parents, wife Susie, and sons, Spencer and Sam. Honest, funny, and disarming, Tweedy's memoir will bring readers inside both his life and his musical process, illuminating his singular genius and sharing his story, voice, and perspective for the first time.